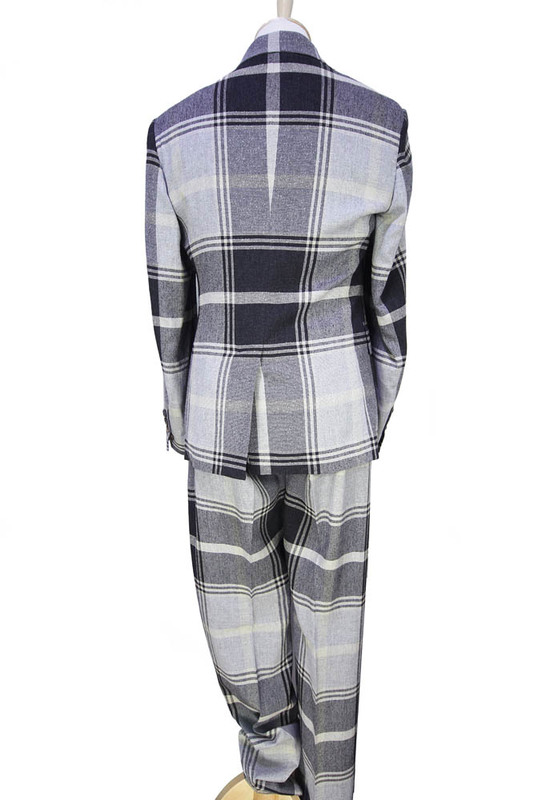 Vivienne Westwood Man 100% wool boucle James suit, slim fit in grey and black check. Single button fastening. 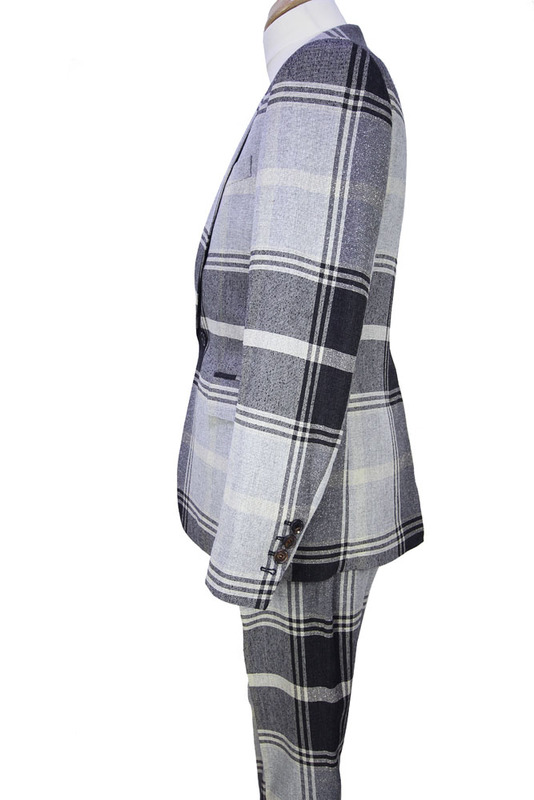 Long pointed lapels. 2 pockets with flaps and left chest pocket. Blue lining inside with pocket with button fastening. Single vent at rear. Slim trouser with belt loops, zip fly and 2 side pockets. Single rear pocket with button fastening. The trouser hems are unfinished so they can be perfectly fitted. Partially lined. Beautiful Summer suit.